These are the easiest muffins ever and taste fabulously delicious! Blender muffins are really a favorite of mine. Like it really does not get easier than this. It's 5 minutes to make these babies and then they just need 30-40 minutes in the oven. 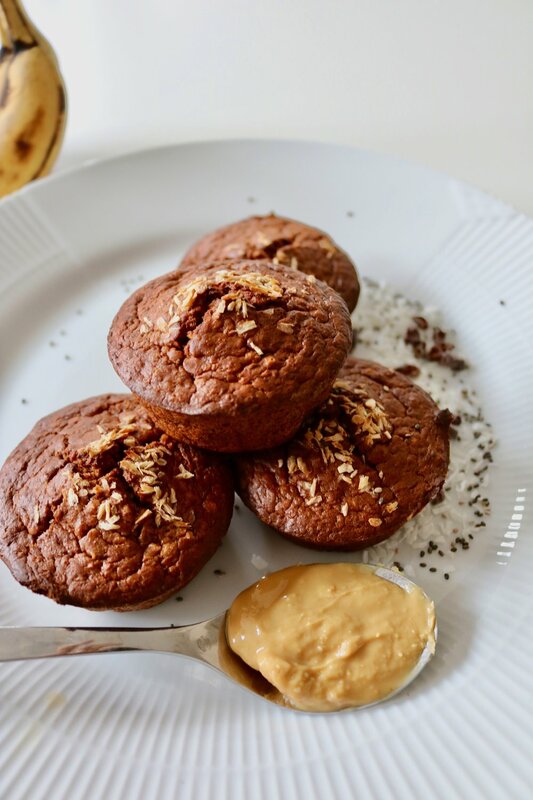 Ridiculously easy, filling and healthy muffins! 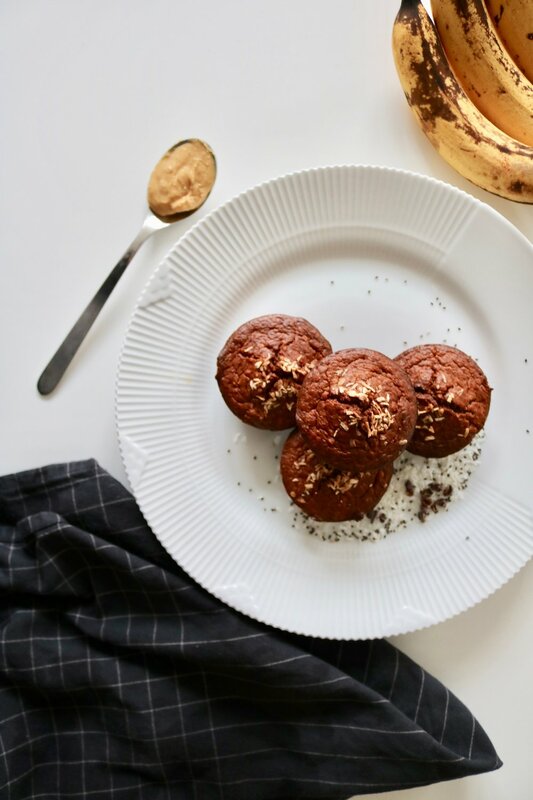 These muffins are gluten free, dairy free, paleo, whole 30, refined sugar free and perfect for a little snack, pre-workout or for breakfast! Let's not complicate health and eating healthy. Let's just keep it fun, easy and delicious! 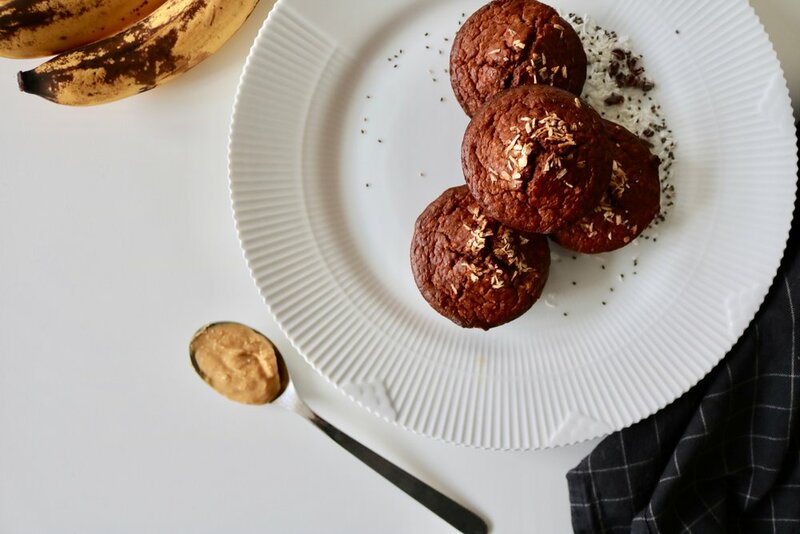 These muffins are a perfect example, of how simplistic healthy snacks can be and there is no excuse because all you need is an food processor or blender and an oven. Which also minimizes clean up and don't we all want to have less clean up? 2. Put all the ingredients into the blender or food processor and blend until you have a creamy "blended" consistency. 3. Coat your muffin tray with coconut oil. 4. Pour the mixture into the muffin tray.